Feel like a princess in the stretch tulle Violeta Bridesmaid gown! With thin straps holding its sweetheart bodice it then flows through to a beautiful, no-fuss, feminine skirt. 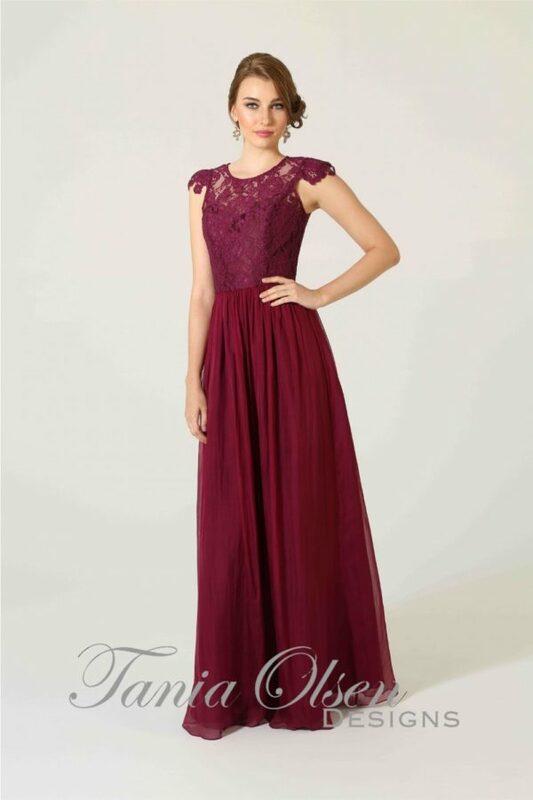 Turn heads on your special day in the captivating Tania Olsen Designs Violeta bridesmaid dress. The design features a plunging neckline atop a tear-drop cup that perfectly compliments the décolletage, and highlights the shoulders. In addition, the scoop cut-out detail on the back similarly exists to flatter the wearer. This black tie gown by award-winning Australian designer Tania Olsen, is flattering for a range of shapes and sizes. Contact your nearest stockist to find out more about this beautiful dress.